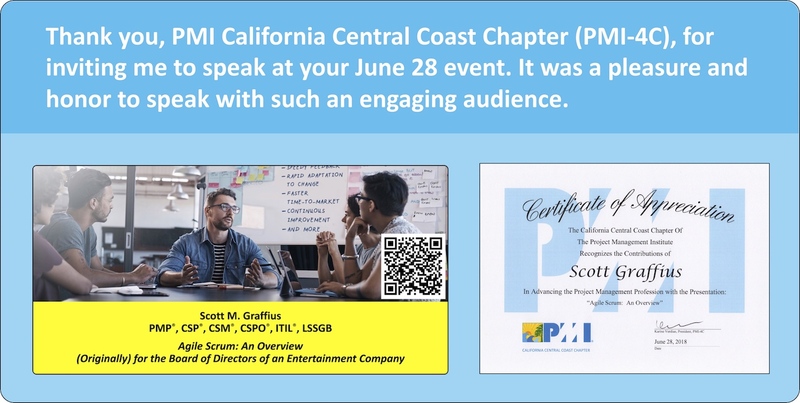 Thank you, California Central Coast chapter of the Project Management Institute (PMI-4C), for inviting me to speak at your June 28, 2018 meeting, where I presented “Agile Scrum: An Overview (Originally) for The Board of Directors of an Entertainment Company.” The turnout was fantastic, and it was a pleasure and honor to speak with such an engaging audience. Special thanks to Chris Hare and Colin Giffen—the technical editors on the award-winning book, Agile Scrum: Your Quick Start Guide with Step-by-Step Instructions—for their involvement. Thanks to PMI-4C's Michael Peter and Robert Tucker for organizing and managing the event. 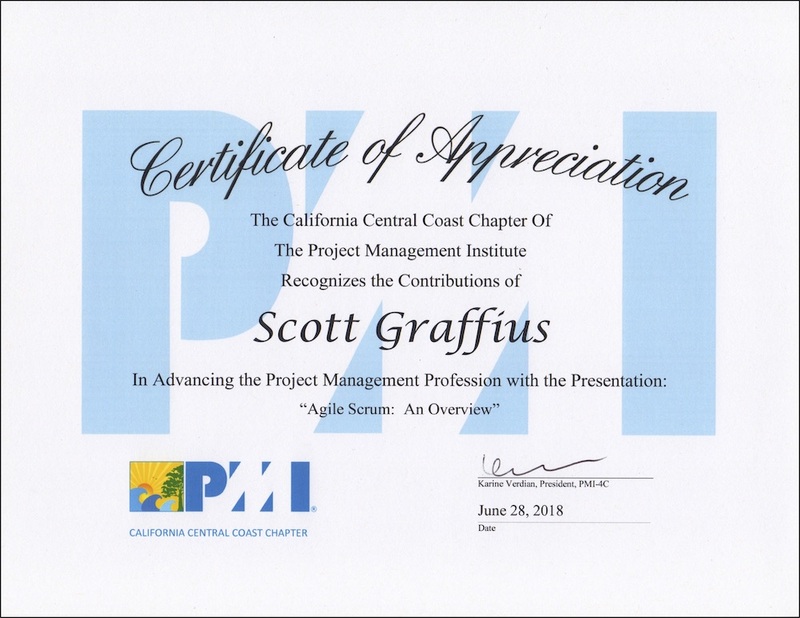 Scott M. Graffius will deliver a talk—“Agile Scrum: An Overview (Originally) for The Board of Directors of an Entertainment Company”—at a public meeting of the Project Management Institute California Central Coast Chapter (PMI-4C) on June 28, 2018. For more information, and to register for the event, visit here.